Mo-Kan STMA is a chapter of the National Sports Turf Managers Association. We are a unique group of people who come from all types of levels in the sports field world. The group is committed to advancing the professionalism of athletic field managers and strives to make a difference in our profession. 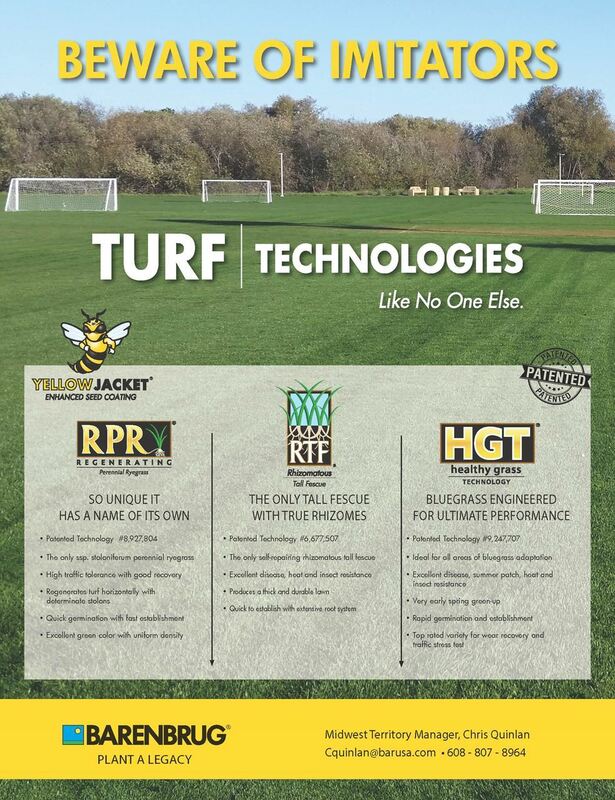 Our members represent a wide range of individuals in the sports field industry that includes high schools, colleges, professional facilities/stadiums, parks & recreation departments, municipalities, educators, youth leagues contractors and commercial vendors. Each year we host 3-6 events that provide a fun, educational and networking opportunities for our members. Be sure to get the upcoming events on your calendars. For information regarding events see the upcoming events or click on the events tab to see all events (past and present). The fall event will be in October (date TBD). Stay posted as we will continue to update. Our mission statement is to provide a pathway for the sharing of information and knowledge to enable sports field managers develop and maintain healthy, safe and attractive sports surfaces for all levels of play. Mo-Kan STMA has also done community projects that included assisting on field upgrades or complete design/renovation of sports fields. These projects allowed inner city kids have the opportunity to play on quality, safe, and playable areas to play games. The first project that the group is very proud of was the complete design of a new football field for the Police Athletic League, P.A.L., in the inner city area of KCMO. Through donations of Mo-Kan STMA, STMA, NFL, and other generous supporters it gave youth additional opportunities to work with positive role models to learn the game of football, get physically fit and stay involved in productive after-school activities. Prior to the renovation the field would have been considered unplayable and down right dangerous in most other locations. The field renovation has given many kids the opportunity to be involved in a program that was in dire need of help. The second project was also a group effort and involved the renovation of four baseball fields at Cleveland Park in KCMO. A group of Mo-Kan members provided knowledge, skills, labor, and equipment to renovate 4 baseball fields at Cleveland Park. The program called RBI (reviving baseball in inner cities) greatly benefited and is much appreciative of the renovated park. The renovation became a great asset to the local neighborhood and anyone involved in the RBI program. Sign up now to become a member or sponsor! The association looks to reach out to prospective members and engage those who bring a wealth of knowledge through practical applications in the workforce. Your membership and sponsorship has enabled this chapter to make donations to area universities, offer educational funds to students/universities, and perform community improvement projects. In an effort to continually improve our local chapter, I encourage members (new as well as seasoned) to share their views, expertise, experience, venues, projects, or ideas. Remember, this is your chapter so be an active participant! Take advantage of the opportunity to meet fellow peers, expand your networking connections, see different venues, and pick up a few tips along the way. Support your local vendors and sponsors of our chapter. To become a sponsor please click on the join us tab. Click on the company logo for direct link to their web site and be sure check out the vendor/services tab above!